The audience has so far seen Shraddha Kapoor play chirpy and girl-next-door roles in movies. Now the actress is ready to prove her versatility. Shraddha will soon be seen playing the role of Haseena Parkar in the upcoming flick Haseena: The Queen Of Mumbai. 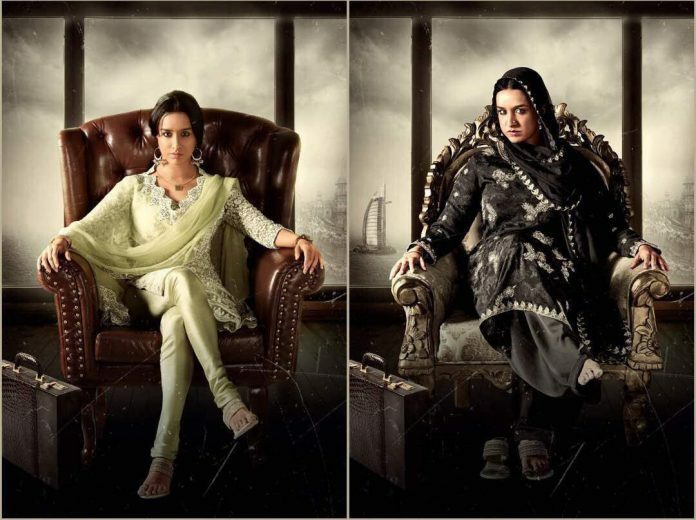 The makers released the second poster, which has shown Shraddha with a fierce expression. The new poster has surely revealed how dangerous and strong Shraddha’s character is. The movie is directed by Apoorva Lakhia and produced by Nahid Khan. Haseena Parkar was popular gangster Dawood Ibrahim’s sister. This will also mark the first venture of Shraddha Kapoor as a female lead. The movie also stars Shraddha’s real life brother Siddhanth Kapoor, who will be seen playing Dawood’s role. The actress in an earlier interview said that it was a challenge for her to deal between Half Girlfriend’s character Riya Somani and Haseena Parkar. Going by the new poster, it seems like Shraddha has worked hard while adapting the fierce character of Haseena and might even remind the audience of Vidya Balan from Begum Jaan. At present Shraddha is busy promoting her movie Half Girlfriend which is ready to be released in theatres on May 19, 2017. Haseena: The Queen of Mumbai will released in theatres on July 14, 2017.